Do not consent nor volunteer to be subjugated by anyone. 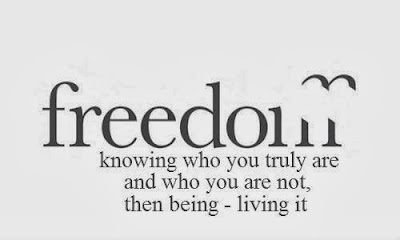 REMEMBER: You win, not by fighting against the SYSTEM, but by removing yourself from the matrix game. 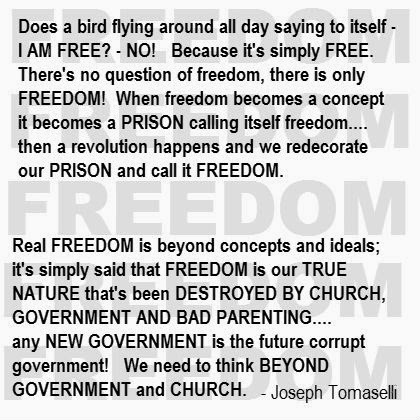 freedom is like kingdom - it is basically a state of mind which is related to dome or dominion - power of the mind, manifestation. This freely shared info is verifiable when doing the due diligence and research. It's impossible to be a U.S. Citizen - following the law of like kind. The U.S. is a legal entity (form) and men/women are flesh (substance). It's time for people to awaken to who they truly are and who they are not! You are NOT your NAME, in any sense of the word. Is the name affixed to your body? Are you known as the "given name" to someone and to others as something else? Do you answer to 'honey', 'dear', and/or a nickname? Names are only labels we choose to identify with. Do not give the presumed NAME to any officer and remain silent. Until one experiences this, it may be difficult to fully comprehend, however, there is absolutely NO justice solution within the system (CODES/STATUTES) as the courts only deal with FORM and in commerce - who is the debtor and who is the creditor. That is why when you look at a complaint - it will state in a criminal case - A TRUE BILL. Yes, it is an invoice. All crimes are commercial. One can either be within or without the matrix system. Either choose to serve the matrix plan of indentured servitude OR begin the process of knowing who you truly are and being responsible for your own actions. Yes, words are powerful. Words actually cast spells = spelling. We may only control that what we create. 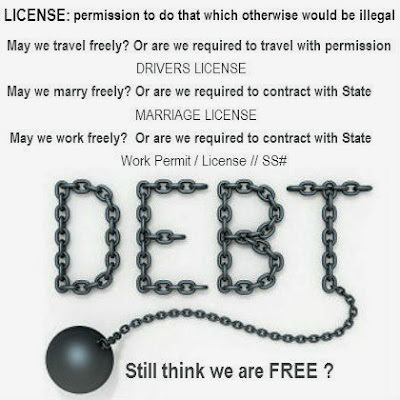 Man did not create man, so in order for some men to control others, the attorneys created the word "PERSON" and created the all CAP LETTER -- JOHN H. DOE -- which is a TRUST - LEGAL ENTITY - STRAW MAN - which is on every drivers license, invoice, ticket, etc. In fact, nothing in one's wallet except maybe photos is yours - because you didn't create it, thus it must be returned upon request. 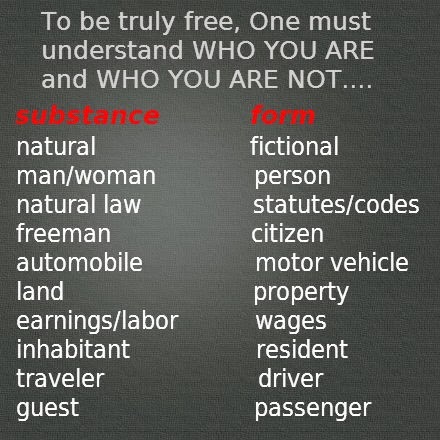 The term used to supposedly identify a living man/woman in statutes is a natural person, but that is a deceptive term. The simple analogy for this is green or red apple - but it is still an apple. No matter what adjective you put in front of a noun, you cannot change the root meaning of the main word. Words/terms used in legal situations are meant to look similar to that of everyday usage, however it is wise not to assume the word means the same....thus legalese and the need for legal dictionaries. OFFICIAL ACT. An act done by an officer in his official capacity, under color and by virtue of his office. An act not be a lawful act that it may be an official one. If this were not so, the sureties on his official bond would never be responsible. color of office -- an expression of acts performed by an officer which are entirely outside of or beyond the authority conferred by the office. virtute officii -- Characterizing acts of an officer which are within the authority of the officer when properly performed, but which are improperly performed. Maxim: It is not too far distant before the conscience of men will remove the shackles of the PRIVATE CIVIL LAW, known as THE LAW. People may find this difficult to believe, but this system is voluntary. The guise is that compliance is seemingly mandatory - but not when you have pierced the veil. Sure the enforcement officers (men/women acting on behalf of the system's govt. corps) have guns - so compliance is then done under duress and coercion - force. Do not consent. Handling oneself in the commercial Courts is all about posture and standing. People are allowing themselves to be controlled by ignorance, fear, guilt and intimidation. Time for the love vibration to elevate! The awakening is happening and the old standard will not remain. Word is rapidly spreading and each day more is being revealed ! 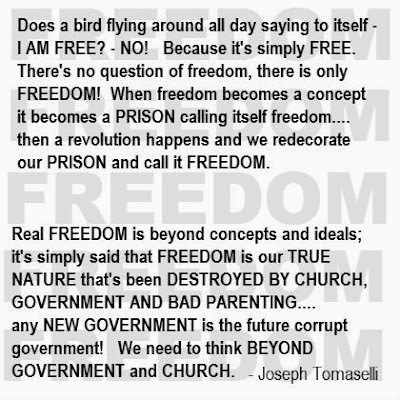 It riles them to believe we perceive the webs they weave...right Steve?...and keep on thinking free.MB. Are you a U.S. Citizen or Not ?! ?